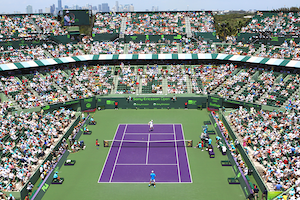 MiamiTennisNews.com is Miami’s source for ATP and WTA Tennis News and Commentary. Our mission is to serve South Florida’s tennis community by providing a unique perspective on the sport through editorials and news on the domestic and international fronts. Please direct any comments or suggestions on future content with an email to editor@miamitennisnews.com.